THE ROOFING SPECIALIST, DEZZO ROOFING, IS TURNING 16! Dezzo Roofing is turning 16! Can you believe it? Seeing as it is our Birthday Month we have decided to relive some of our finest moments and successes over the years. Dezzo Roofing was started in 2000 with Brandon Harding and 3 other staff members in the factory. 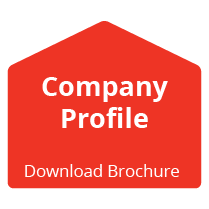 Over time we have grown and developed into a strong competitive brand within the industry, now employing 35 factory staff members and 11 office staff who make Dezzo Roofing the brand that is today. We have been ranked as one of the top 3 lightweight steel truss manufacturers in the country by SASFA (Southern Africa Steel Frame Association) and pride ourselves on this achievement along with many other accomplishments and projects we have racked up and been involved in over the years. Dezzo Roofing sponsored a new awning for the Chad Le Clos Swimming pool. Dezzo Roofing was a sponsor to the Big 5 Hike in association with Walking for Education. We absolutely loved getting involved in initiatives that give back to the community at large. Community upliftment is such an integral part of the workings in any community and it gives us such joy to assist where we can. Dezzo Roofing sponsored all the team shirts during their Touch Tournament as a keep sake to remember the tournament and the team spirit shared. Dezzo Roofing donated all the roofing requirements that the college needed in its development. Dezzo Roofing donated all the roofing requirements and networked the project for the Crèche. Dezzo Roofing, in conjunction with Olive Tree Church, sponsored a number of food bucket to child headed homes. Dezzo Roofing donated a brand new car port. 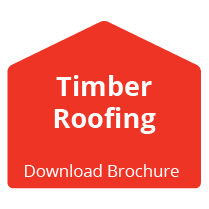 Dezzo Roofing supplied 10 roof kits manufactured from timber for ten houses in Cleremont that belonged to destitute families. 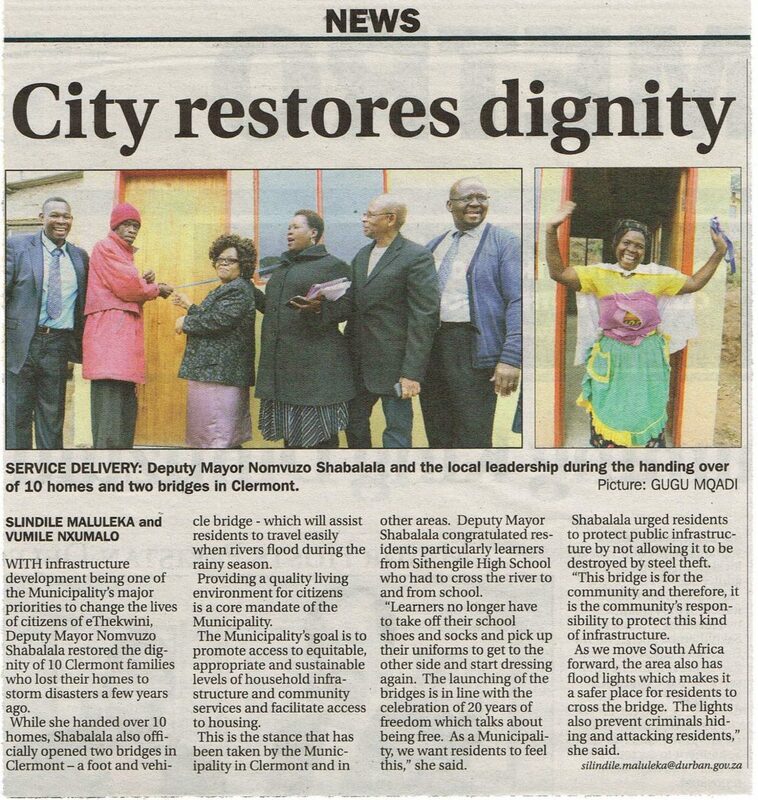 Take a look at the article featured in the Durban City Newspaper. Dezzo Roofing donated all of the roofing requirements and networked the entire project massively their behalf. Dezzo Roofing also donated funding towards Bless-a-Granny, Gogo Bags and Christmas 4 Kids at Golden Gateway School for the Disabled. As a brand we constantly endeavour to give back to our community in any way possible, there is never an initiative or donation to small in our eyes. Alongside all of these amazing memories and achievements we truly feel that our success as a brand comes with the responsibility of looking after the immediate family (our staff) and organisations such as the Robin Hood Foundation; initiatives such as Bless-A-Granny, Christmas for Kids and so forth as well as any other project or platform we are able to get on board with and it is responsibilities like these that keep us thriving, bringing joy to our lives in more ways than one. 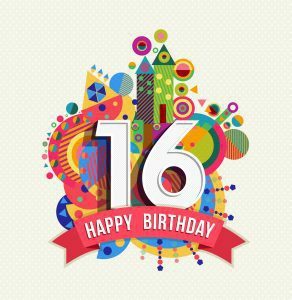 We would like to thank all of our clients and suppliers for such a magnificent 16 years, here’s to the future!